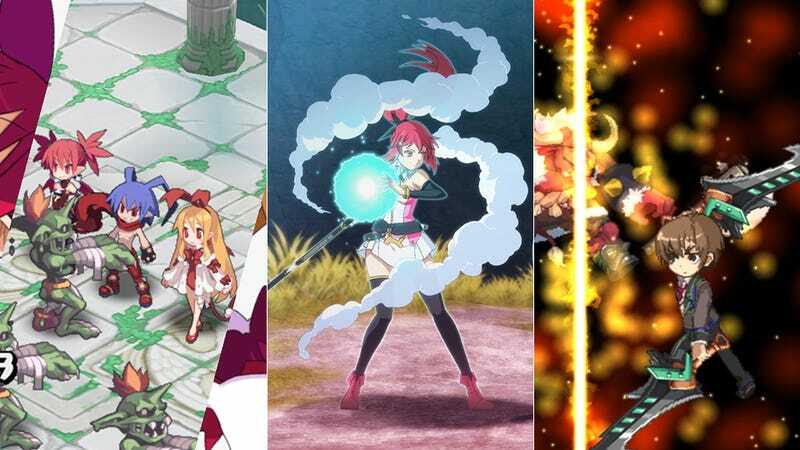 Last night at their press event in San Francisco, NIS America announced they would be releasing three new Japanese titles this year. The first of these, Disgaea Dimension 2: A Brighter Darkness, is the newest PS3 title in the long-running strategy RPG series, Disgaea. It is a direct sequel to the first game in the series, Disgaea: Hour of Darkness and picks up the story ten years later. It is set to release in the fall of this year. The second game is The Guided Fate Paradox, a plot-driven dungeon crawler about a normal boy who has recently become a god. It will be coming out sometime this fall on the PS3 as well. The final title NIS America will be bringing over is Time and Eternity (also known by its Japanese title, Tokitowa). We've talked about this time-travel, multiple personality "HD animation RPG" quite a bit here at Kotaku East. And with its unique battle system, I personally found it a joy to play. It will be released on the PS3 sometime this summer. Check out the trailers below to see these games in action.